Expansive one bedroom lives larger than most! Bright windows and balcony span the width of the residence offering sun filled living at its best! Entertainers delight with spacious cooking/dinning/living/outdoor connections. Many new features such as Windows,cabinets,stove top,microwave,faucets,commode in powder room,designer paint,lighting,screens,USB outlets,dimmers, and NEST thermostat. GREATLY improved Building, EIFS/paint on exterior of building, remodeled lobby/hallways with bright lighting/paint/decor, and soft concierge. LIKE NEW and sure to impress! Enjoy your balcony access from both the master and living rooms!Beautiful hardwood floors throughout! THIS ONE SHINES! 15th floor = fewer residences than other floors, currently only 3 full time residences = additional privacy. walk to shops/restaurants/dinning/theater/museums/library/city building/coffee shops and more great Denver scenes! Be a part of Golden Triangle development setting new standards in Denver! SchoolsClick map icons below to view information for schools near 475 West 12Th Avenue #15F Denver, CO 80204. Home for sale at 475 West 12th Avenue #15f Denver, CO 80204. Description: The home at 475 West 12th Avenue #15f Denver, CO 80204 with the MLS Number 3417103 is currently listed at $425,000 and has been on the Denver market for 74 days. 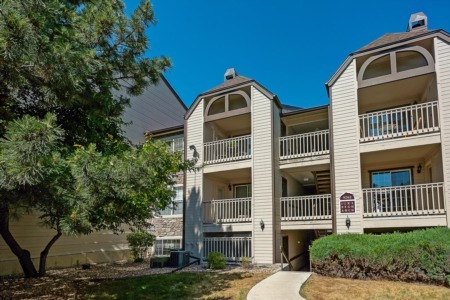 You are viewing the MLS property details of the home for sale at 475 West 12th Avenue #15f Denver, CO 80204, which is located in the Golden Triangle subdivision, includes 1 bedrooms and 2 bathrooms, and has approximately 930 sq.ft. of living area.